The Loop Duodenal Switch procedure, also known as SIPS, is a promising bariatric surgery procedure. SIPS stands for ‘Stomach Intestinal Pylorus Sparing Surgery’. Initial studies indicate it provides greater weight loss than a standard gastric bypass or sleeve gastrectomy without increased complications. SIPS is being offered to selected patients with full disclosure to enable them to make an informed decision. The SADI-S is a similar procedure and stands for “Single Anastomosis Duodeno-Ileostomy with Sleeve Gastrectomy”. SIPS is a modified version of an operation that was developed 30 years ago, formally called Biliopancreatic Diversion with Duodenal Switch (BPD-DS) and more simply known as the duodenal switch. SIPS bypasses less of the small bowel and connects a loop of small bowel to the duodenum instead of a Roux limb. These modifications are expected to reduce the operative complications, diarrhea and nutritional deficiencies seen with the original duodenal switch, while preserving most of the weight loss and metabolic benefits of duodenal switch over gastric bypass or gastric sleeve surgery. What are the potential advantages of the SIPS procedure? Delivers greater weight loss than a sleeve gastrectomy or standard gastric bypass, which is advantageous for people with a BMI above 50. Provides a more powerful metabolic effect than a sleeve gastrectomy or standard gastric bypass, which is advantageous for people with poorly controlled Type 2 Diabetes. Can be performed on people who have already had a sleeve gastrectomy, which is advantageous for people who experience weight regain or insufficient weight loss. Lowers the risk of diarrhea and nutritional deficiencies often encountered with a conventional duodenal switch. Connecting a loop of small bowel rather than a Roux limb is anticipated to reduce the long term risk of intestinal obstruction, compared to a standard gastric bypass and compared to a duodenal switch. SIPS is expected to be less powerful than the original duodenal switch but more powerful than a sleeve gastrectomy or standard gastric bypass. To clarify: SIPS is not an Omega Loop gastric bypass (aka., ‘Mini’ gastric bypass) in which a loop of small bowel is connected to a gastric pouch and the pylorus is excluded. What could be potential disadvantages of the SIPS procedure? While complication rates are expected to be lower with SIPS than the original duodenal switch, we can expect that certain complications may be harder to manage, such as a leak from where the duodenum is connected to the loop of bowel (duodeno-enterostomy). Bile reflux may become an issue for some patients and some may need revision to a duodenal switch. Patients who choose SIPS will need closer nutritional follow-up than those who choose a sleeve gastrectomy or standard gastric bypass. Even though SIPS is a promising procedure, it is still relatively new compared to the more established procedures available in bariatric surgery. At present, four published studies are available worldwide totaling 222 patients. Three of the four studies are from a single institution as an ongoing cohort. There is no published data past five years. What are the results of the SIPS procedure? We do not have long term follow up on large numbers of patients but the initial combined results of SIPS and SADI-S are very good. The questions are: whether these excellent results will remain constant over time, whether they will be reproducible by other units and whether larger numbers will reflect the same figures. Other units are also starting to report their experience. Another unit in the US has recently reported their first 100 cases with similar good results. Surgeons across the world are following the progress in this field with great interest and it was discussed in depth at the First Duodenal Switch Consensus Conference held in Quebec City, Canada in June 2016. 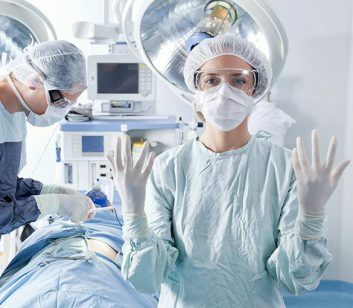 It takes individuals (patients and surgeons) willing to go forth with a fairly new procedure to make progress in medicine. We offer SIPS to selected patients after full disclosure of the current status of the procedure. All patients are assessed and followed up long-term by a multidisciplinary team with similar protocols as units performing the duodenal switch.